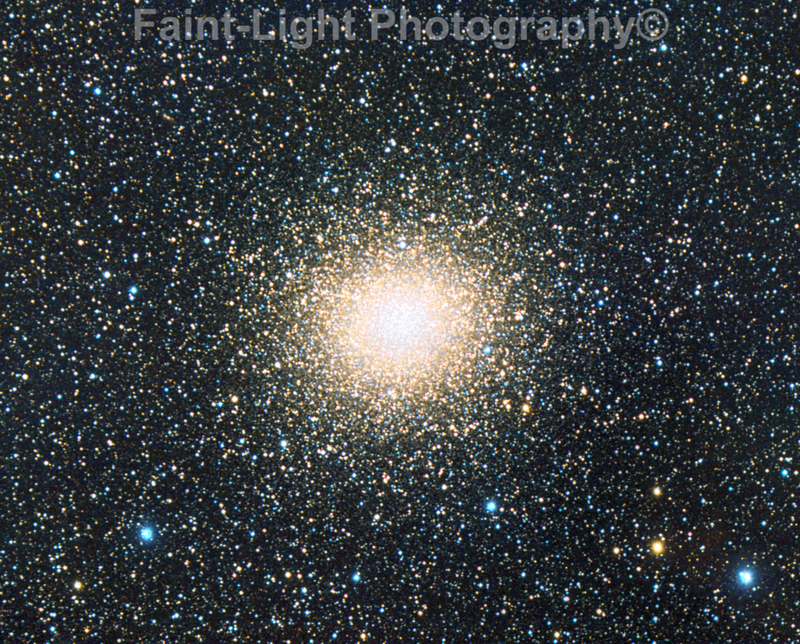 Omega Centauri is a compact region of stars, dominantly older stars, called a “globular cluster.” Globular clusters often lie at the edge of galaxies and their exact origins remain in debate. Omega Centuri is a giant among globular clusters, having about 10,000,000 stars and being bright enough to be seen with the naked eye. Omega Centuri, unlike other globular clusters, may have a black hole at its center, supporting one hypothesis that it is the central core of a small galaxy that was stripped of its outer regions by interaction with our Milky Way Galaxy.